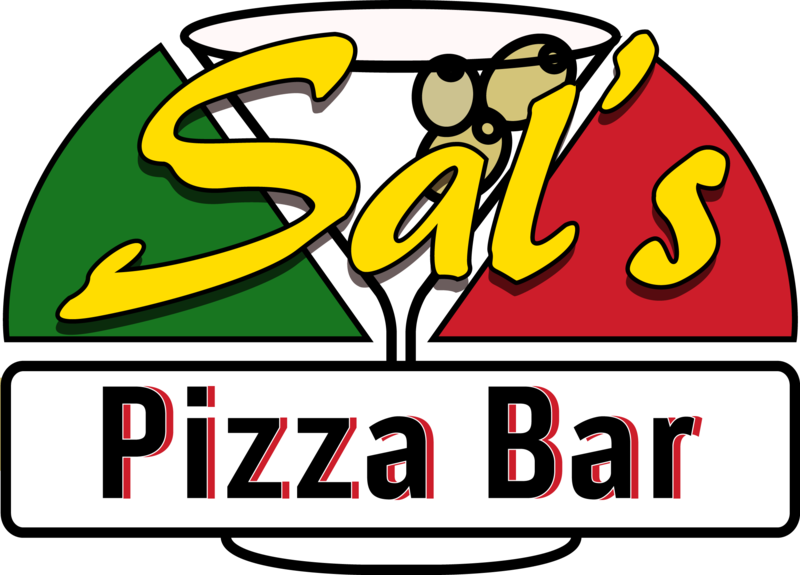 Sal's pizza is a family business that has been for over 40 years and located in the West New York, New Jersey, area. 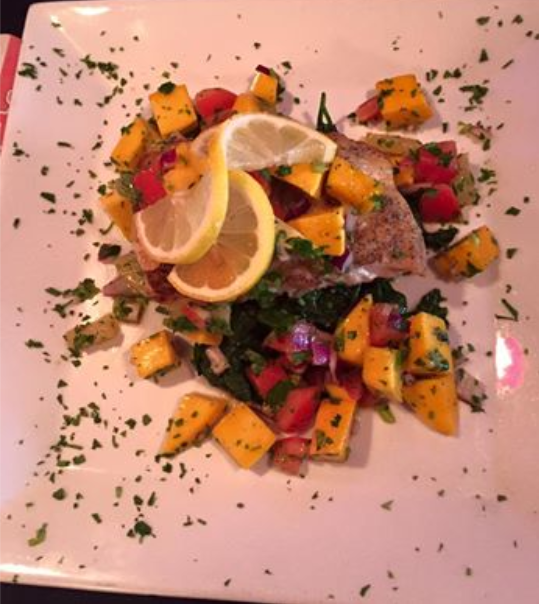 It's a neighborhood place where families and customers come regularly. 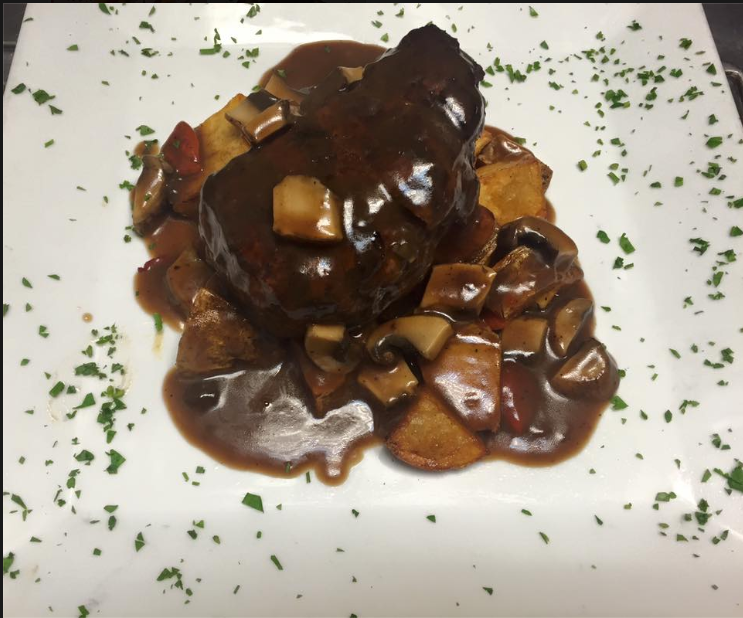 Sal's is characterized by its comfort Italian food and offers a memorable dining experience. 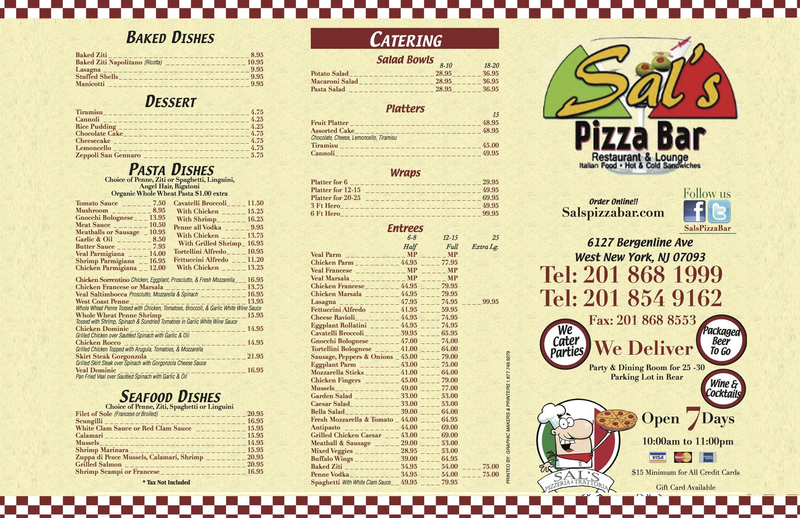 The Sal's family looks forward to serving you the best food around for dine in, pick up, or delivery! Also for your convenience, there is a large parking lot in the rear of the building. We look forward to hearing from you. Contact us by phone today! 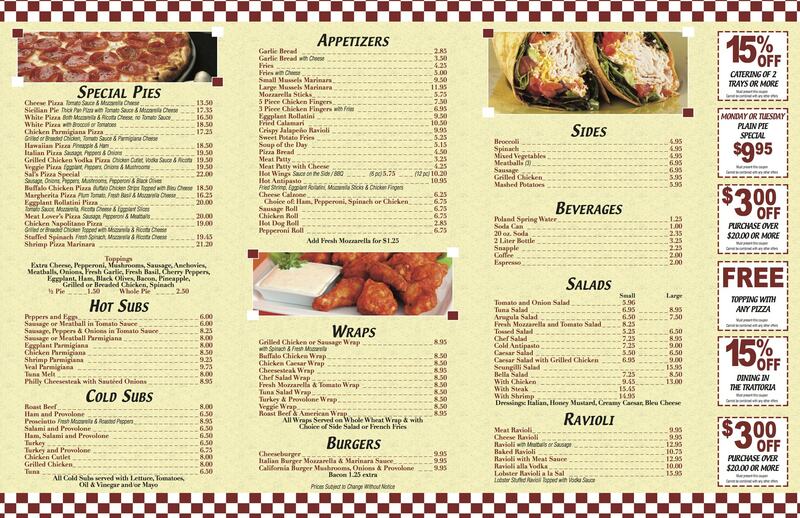 Monday – Sunday, 10:00 a.m. – 11:00 p.m.
Best pizzaria in Hudson County and North Jersey is pizza country. The regular slice is amazing but the Sicilian is out of this WORLD good! Has always been there. A legendary place and has actually possibly gotten better over the years! 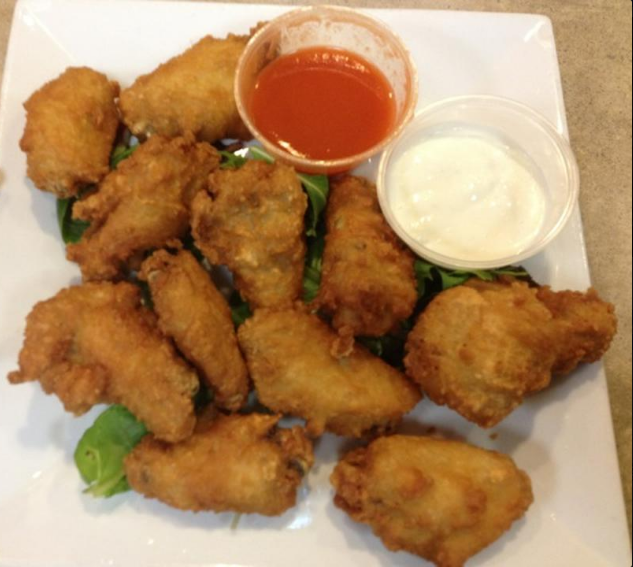 Best chicken wings in town. Delivery is always quick and fast. Prices are reasonable and staff is very nice. I usually order for delivery twice a month, never had a problem. Great pizza shop in West New York. Really good option for a pizza. 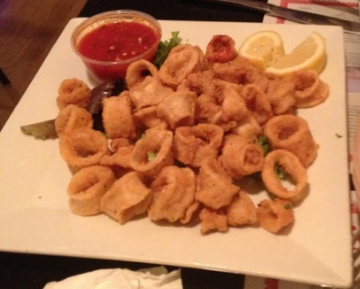 The crust is amazing and the tomato sauce is really good. The attention is good and even is tiny place but is cozy. Good choice for pizza.